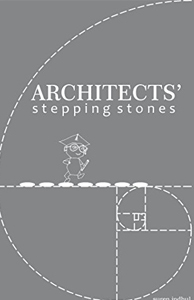 ARCHITECTS’ stepping stones provides a look into what it really entails to be an architect. You will find out about things they don’t teach you in university, and about some murky aspects not generally in the public arena. Mew challenges have come to the profession through the rapid development of ground-breaking technologies. This book deals with current innovations and how to manage them in the architectural environment. It will open your mind to solutions that do not necessarily involve gizmos, but rely on simple, practical thinking. ARCHITECTS’ stepping stones is a no-hold-barred look into architecture in today’s world. It will serve to guide you when navigating the challenges that come with a modern architectural practice. “The raw and unadulterated passion for his craft and profession oozes out of every page of Suren Indhul’s Architects’ Stepping Stones. There is as much sound advice here for neophytes as there is a not-so-subtle pricking of the conscience for those immersed in the practice and reaping of its rewards. While the book does read, in parts, like an induction manual for new employees, there is no denying the great deal of thought that has gone into it or the wealth of philosophical insights it provides even for readers far removed from the exigencies of an architect’s life. Drawing from a rich body of experience gleaned from both the drawing room and the boardroom, Indhul takes few prisoners in his crusade to expose to the uninitiated as well as to the ingrained, the warts and pitfalls of a calling to which he has obviously sacrificed much blood, sweat and tears. Having said this, it takes nothing away from the unabashed gratification that comes with a career that provides not only a canvas for creativity but a long-lasting legacy for generations to admire and critique.